By Marc Boucher on September 30, 2013 9:59 AM. 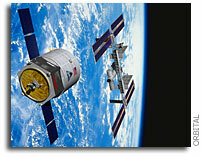 "The Center for the Advancement of Science in Space (CASIS), the nonprofit organization managing research onboard the International Space Station (ISS) U.S. National Laboratory, congratulates Orbital Sciences on a successful launch of the Antares rocket and on the berthing of the Cygnus cargo vehicle to the International Space Station. Orbital's successful mission also represents a milestone for CASIS: The first-ever CASIS-funded payloads have now arrived at the ISS. Orbital's Cygnus cargo capsule berthed with the station Sunday morning." By Marc Boucher on September 29, 2013 12:22 PM. SpaceX Launch Update: This Sunday SpaceX will attempt to launch the first Falcon 9 v1.1. While similar to the original Falcon 9, the upgraded version sports the more powerful Merlin 1D engines which have yet to fly, a much longer fuselage, a new larger fairing and a number of other upgrades to the rocket including its software. The launch will be webcast. The primary payload is the Canadian Space Agency CASSIOPE satellite. Several secondary nanosats will also be launched. SpaceX is categorizing this launch as a "demonstration flight" with the risk higher than usual for a Falcon 9 launch. However I don't expect them to launch unless they are as certain as they can be of mission success. UPDATE: SpaceX has successfully launched the Falcon 9 v1.1 on its maiden flight. By Marc Boucher on September 29, 2013 10:10 AM. "NASA and its International Space Station partners have approved a Sunday, Sept. 29, target arrival of Orbital Sciences' Cygnus spacecraft on its demonstration cargo resupply mission to the space station. NASA Television coverage of the rendezvous will begin at 4:30 a.m. EDT and will continue through the capture and installation of the Cygnus spacecraft." Update: Cynus completed its rendezvous this morning and was berthed by the stations Canadarm2 at 8:44 am EDT. By Keith Cowing on September 25, 2013 4:32 PM. According to SpaceX on 20 Sep: "SpaceX has nearly 50 missions on manifest to launch over the proposed 5 year lease period and we can easily make use of the additional launch site. At the time we submitted the bid, SpaceX was unaware any other parties had interest in using the pad. However, if awarded this limited duration lease on 39A, SpaceX would be more than happy to support other commercial space pioneers at the pad, and allow NASA to make use of the pad if need be." "[Blue Origin] has not yet succeeded in creating a reliable suborbital spacecraft, despite spending over 10 years in development," Musk wrote. "If they do somehow show up in the next 5 years with a vehicle qualified to NASA's human rating standards that can dock with the Space Station, which is what Pad 39A is meant to do, we will gladly accommodate their needs. Frankly, I think we are more likely to discover unicorns dancing in the flame duct." By Keith Cowing on September 24, 2013 7:50 AM. "This announcement constitutes the only solicitation, which is issued as a Request for Quotation (RFQ); quotes are being requested and a written solicitation will not be issued ... Questions regarding this acquisition must be submitted in writing via e-mail ino later than September 26, 2013]." Keith's 23 Sep note: NASA GSFC posts this solicitation on 20 September late in the day - the day before a weekend. That leaves 23, 24, 25, 26 September for any software firm that did not have a healthy heads from NASA up to create input for a credible proposal or quote - from scratch. In reality, this is clearly a sole source procurement masquerading as an open solicitation. Too bad GSFC can't be honest enough to admit that. As for the intent of the solicitation - sounds interesting. Too bad NASA GSFC is not willing or able to allow sufficient time for the best possible input to be developed from a wide range of potential bidders. At the speed they are doing this GSFC might be able to pick a vendor before the end of the fiscal year. I'll be that a simple FOIA request would reveal that they already know who they want to award this contract to. Keith's 24 Sep update: NASA has posted an Amendment to the solicitation: "The due date for responses has been extended to October 9, 2013. Questions will be due no later than October 7, 2013." What a coincidence. By Keith Cowing on September 23, 2013 11:00 AM. "This morning, Orbital and NASA together decided to postpone the approach, rendezvous, grapple and berthing operations of the Cygnus cargo logistics spacecraft with the International Space Station until after the upcoming Soyuz crew operations are complete. The Soyuz crew is due to arrive at the ISS very late on Wednesday, September 25. The earliest possible date for the next Cygnus approach and rendezvous with the ISS would be Saturday, September 28. An exact schedule will be determined following the successful completion of Soyuz operations." By Keith Cowing on September 18, 2013 10:58 AM. "NASA commercial space partner Orbital Sciences Corporation of Dulles, Va., successfully launched its Cygnus cargo spacecraft aboard its Antares rocket at 10:58 a.m. EDT Wednesday from the Mid-Atlantic Regional Spaceport Pad-0A at NASA's Wallops Flight Facility in Virginia. This is the first time a spacecraft launched from Virginia is blazing a trail toward the International Space Station, heralding a new U.S. capability to resupply the orbiting laboratory." By Keith Cowing on September 16, 2013 4:32 PM. "In particular, we commend NASA for undertaking an open, competitive process regarding Launch Complex 39, Pad A, (LC-39A) at the Kennedy Space Center (KSC). As you are aware, the NASA Inspector General and the Agency have identified LC-39A as excess infrastructure and have no "future rnission-related uses for these facilities" (Report No. IG- 13-008). Consistent with the OIG's recommendation, as well as the need to reduce overhead in the current constrained fiscal environment, we understand that NASA is currently undertaking an open competitive process to transfer LC-39A to a private entity, with formal decisions relating to lease terms and duration to be determined through proper negotiation subsequent to award. Given KSC's expertise, it should be within their purview and judgment to determine what factors to consider and outcomes to render. We urge you to proceed with these plans." By Marc Boucher on September 16, 2013 1:41 PM. "For a time last week, it looked like we would be in the midst of an unusually concentrated period of critical launches. 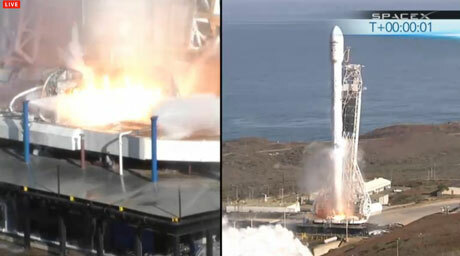 In the span of less than a week, four launches of new, nearly new, or returning to flight vehicles were on global launch manifests: the inaugural launch of Japan's Epsilon small launch vehicle, the first launch of SpaceX's upgraded Falcon 9 v1.1, the second launch of Orbital Sciences Corporations Antares rocket carrying the first Cygnus cargo spacecraft, and the first Proton launch since a dramatic launch failure in early July. Launch manifests are subject to change, of course, and that's what happened. While the Epsilon launch went off on schedule, and successfully, on Saturday, Orbital slipped its Antares launch a day, from this Tuesday to Wednesday, while the Falcon and Proton launches have been delayed until at least late this month. Nonetheless, all three upcoming launches remain critical in separate, but often interrelated, ways." By Keith Cowing on September 11, 2013 9:59 AM. "NASA JSC and Penn State wish to collaborate on the further development of a JSC inhouse designed liquid oxygen (L02)lliquid methane (LCH4) reaction control engine (RCE) to characterize its performance over an expanded range of operating conditions... Penn State is seeking an RCE for their Lunar Lion vehicle as part of its participation in the Google Lunar X-Prize." By Keith Cowing on September 9, 2013 4:16 PM. "In contrast to procurement, the agencies indicate that together their need for RDT&E funding will decrease during the same period. NASA's expected RDT&E launch funding requirements outpace DOD's, with the agency planning to spend about $10.5 billion for launch-related development from fiscal years 2014 through 2018. Of that amount, NASA anticipates the need for approximately $7 billion for the development of its own deep space launch vehicle known as the Space Launch System, and the associated ground systems, to support human deep space exploration." By Keith Cowing on September 9, 2013 2:17 PM. By Keith Cowing on September 5, 2013 1:21 PM. "The hologram interfaces Tony Stark uses in Iron Man are awesome, no doubt. But they also aren't real. Yet. Elon Musk has been cooking up something very Stark-y, and he's planning to show it off soon. Musk isn't sharing any of the nitty-gritty details yet, but he mentioned his grand scheme on Twitter. This better not be a joke." By Keith Cowing on September 5, 2013 12:53 PM. Keith's note: I just got a press release from Orbital Sciences. It was sent to a news media distribution list (that is not shown) so I do not know if I am supposed to get this email or not i.e. if I am ain "intended recipient". As is the case with all Orbital press releases it ends with legal mumbo jumbo (below) that could easily apply to me. Or maybe not. It talks about "reader" or "recipient" but no mention is made of all of the people who read a news website. Since NASAWatch can be read anywhere on Earth, the ITAR caveat applies (right?). How am I supposed to know what is or is not ITAR relevant? No other aerospace company does this (but CASIS does). The notion that people are supposed to "destroy the email message" if they get it in error shows an utter lack of understanding as to what email is and that it can never truly be destroyed - not even close. Just goes to show you what happens when you insert IT-deficient lawyers into the PR process. 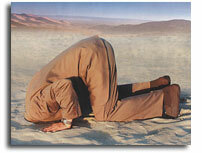 Continue reading Orbital Goes Overboard With Legal Mumbo Jumbo. By Keith Cowing on September 3, 2013 10:29 AM. "Aerospace was one of the first industries to take up three-dimensional (3D) printing. This is because 3D printers are good at making things which are complex and lightweight. ... So far, 3D-printed aerospace parts tend to be used in non-critical areas, such as brackets or ducts. Now NASA has shown that the technology is capable of a far more demanding role: making rocket engines." This page is an archive of entries in the Commercialization category from September 2013. Commercialization: August 2013 is the previous archive. Commercialization: October 2013 is the next archive.